Movies.com > Movie News > Why Is Loki So Much More Popular Than Thor? Why Is Loki So Much More Popular Than Thor? It's rare for an actor to fit a role as well as Chris Hemsworth fits Thor. The Australian actor has everything you look for in a superhero, from a jawline that could shatter boulders to a physique that could have been carved out of marble to his effortless way with bringing life to fantastical dialogue and making even the lamest quips drop-dead hilarious. You don't get too many movie stars who seem to arrive fully formed like Hemsworth and when you do, you put them front and center in the middle of tentpole superhero epics. It's hard to imagine anyone else playing Marvel's Thor at this point. He's perfect. So why the hell does he always get upstaged by Tom Hiddleston's Loki? Sure, Hemsworth has done a fine job building a leading-man career outside of Asgard, but after Thor and The Avengers, there's no denying that his on-screen brother and nemesis has the favor of both the Internet and audiences. Thor's face is the one plastered on the posters, but Loki is the one with the Tumblrs dedicated to him. Loki is the one who inspired late-in-the-game Thor: The Dark World reshoots to up his part. Loki is the guy people were happy to see in The Avengers and were sad to hear he won't be popping up in The Avengers: Age of Ultron. It's safe to say that people will laugh and cheer at all of Loki's machinations when he returns to big screens in the latest Marvel movie and they'll most likely accept Thor's far more heroic actions as just par for the course. It's not that Hemsworth does anything wrong, it's just that Hiddleston has won everyone's hearts and minds out from under him. But why? You have to look at it from two angles: Loki the character and Tom Hiddleston, the actor. The reason why audiences love Loki is actually pretty simple: people like a hero, but they love a charming rogue. There's a reason why there are more fans of Han Solo than Luke Skywalker and there's a reason why there will always be more conversation surrounding Heath Ledger's the Joker than Christian Bale's Batman. Heroes rarely have the capacity to surprise and for the vast majority of them, they spend the entire movie learning that having fun should always be second to personal responsibility. They learn that they've been wrong and gracefully change. But Loki? Loki is the classic antihero. Although he's the villain in both Thor and The Avengers, he's a villain because he feels personally wronged. He wants to crush his enemies to prove that he's worthwhile, to show everyone who has ever wronged him that they've made a huge mistake. It helps that he does all of it with a smile on his face and a song in his heart. For a guy with such malicious intentions, he sure is fun to be around. And that's where we can start to relate. We can never be as strong, good or noble as Thor, but maybe we can be as crafty as Loki. 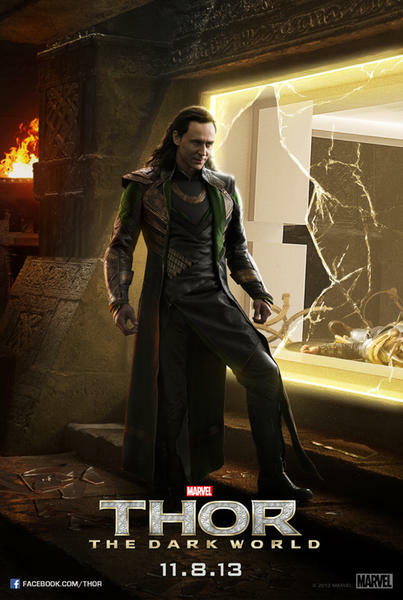 Since he doesn't have to play by Thor's Hollywood-hero rules, Loki can have more dimensions. We can look at him and pity him, laugh at him, and kind of hope he'll someday turn over a new leaf and become a good guy. He's completely broken and doesn't hesitate about leading an alien army straight at Earth, but maybe we can fix him. In the real world, you don't get much more unhealthy than that, but when it comes to loving movie scoundrels, it's required. But let's face it, the real reason we love Loki is because he's played by Tom Hiddleston and Tom Hiddleston is awesome. No offense meant to Chris Hemsworth, who seems nothing short of charming and graceful in every interview, but Hiddleston is the kind of person you want to be your best friend and that likability and enthusiasm simply oozes off the screen. And it's not just good looks and acting ability that makes Hiddleston so appealing. Hemsworth, with his godlike body and incredible good looks, feels unreachable. But Hiddleston's more low-key handsomeness and self-effacing way of presenting himself to the media makes him feel like one of us. If he's not a total nerd, he certainly does a good job of acting like one. When he's not cheerfully sharing hilarious stories, he's doing spot-on impressions of his fellow actors and celebrities. So many movie stars work overtime to protect themselves and their image, but Hiddleston seems to have cultivated a rabid following by just being himself. It's hard to imagine any of the Marvel actors wearing their costumes to a Comic-Con presentation and acting in character before thousands of excited fans, but Hiddleston did it and he did it with aplomb. He's borderline shameless in expressing his love for his fans and the movies that he's a part of. As unfair as it is to let offscreen antics influence what we see of them, it's hard to look at Hiddleston and not like him. He seems a like a good bloke and he radiates goodness and humor. Hemsworth, like Will Smith and countless other high-profile actors, remains a bit of an enigma (and there is nothing wrong with that). We stare at him from afar and will point and ooh and awe. But Tom Hiddleston? You want to go say hi and you get the impression he'll gladly say hi back. The character of Loki and Hiddleston's performance is enough to make him one of the most fun superhero movie villains of all time, but it's his off camera work that has made him a geek icon. 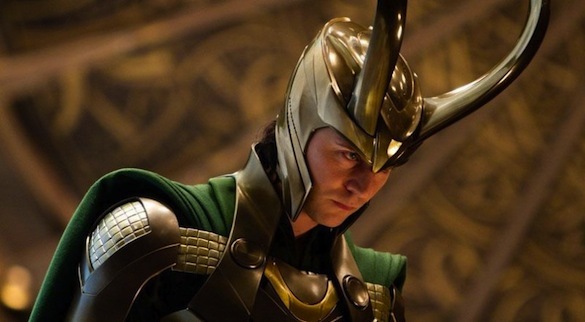 It's no wonder Marvel is supposedly considering a Loki movie spin-off -- you can never have enough Tom Hiddleston.